MORE Presents "Cowboy" James Storm at WrestleCon 2018! Come meet M.O.R.E. 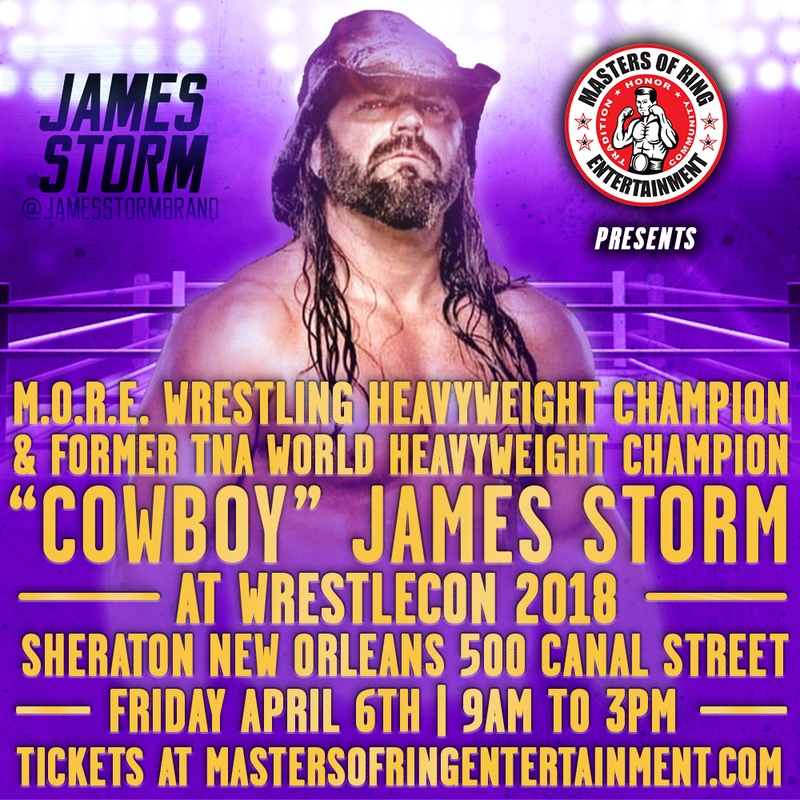 Heavyweight Champion & Former TNA World Champion "Cowboy" James Storm at WrestleCon 2018 in New Orleans, LA at the Masters Of Ring Entertainment table! Buy in advance to save!